INDIANAPOLIS -- Marijuana legalization has gotten its most in-depth hearing ever at the statehouse, and Governor Holcomb is supportive -- up to a point. Holcomb says he's sympathetic to cancer patients and others who claim medical benefits from marijuana. But he says there are scientific and legal hurdles to clear before he'd support making it legal. He says there needs to be not just anecdotal evidence, but scientific research confirming that marijuana offers value other medications can't provide. And if the Food and Drug Administration does approve it for use, the Justice Department would need to formally take it off a list of banned substances, not simply look the other way. And Holcomb says his potential support is limited to medical marijuana, not recreational use. He says every time he's talked with parents whose children fell into addiction, the first drug they tried was pot. A legislative study committee heard more than three hours of testimony pro and con but won't make any recommendation to the full House and Senate. 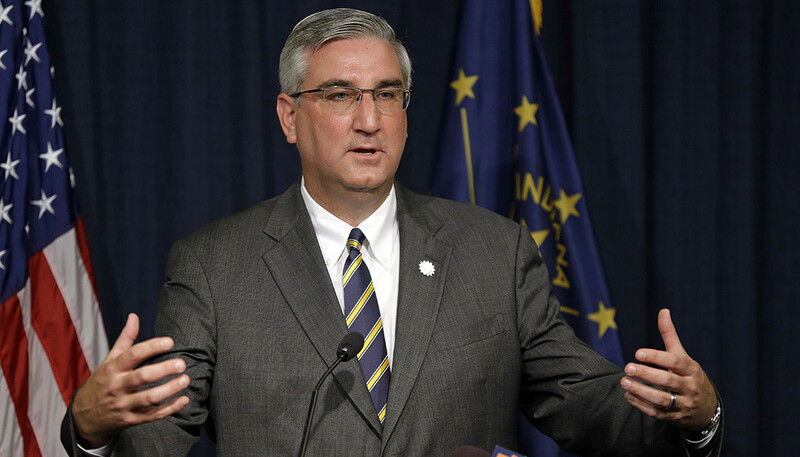 Prosecutors warn legalization would kick open a door to broader use, but Holcomb says if marijuana can win F-D-A approval, there's no reason it should be any harder to control than current prescription medications. He says he's glad to see former state health commissioner turned U-S Surgeon General Jerome Adams recommending federal research into marijuana's effectiveness.